Karen and Darren believe in the personal touch, looking after each client as an individual. Our ultra modern salon, just off St Ives town centre, offers a calm and tranquil environment. 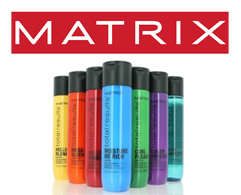 We work with professional brands Matrix and L'Oreal to give your hair gorgeous, long lasting, vibrant colours and Redken products to create and maintain your hairstyle at home. All our staff are trained to the highest industry standards and we have longer appointment times to ensure your visit to us is relaxing with the service you deserve. We offer all our clients a no obligation consultation prior to all hairdressing services, we also offer a range of complementary beverages to enjoy during your visit. Please click here to view our salon tour.